High voltage cables are also divided into low pressure and high pressure, which are divided into two kinds: Industrial and medical. Medically, 75kvdc high voltage cable are used in X-ray diagnostic X-ray machines, and 75kvdc high voltage cable are low-voltage cables in high-voltage cables for X-ray machines. The 75kvdc high voltage cable cable can meet the needs of the 125KV ball tube for X optical machine. 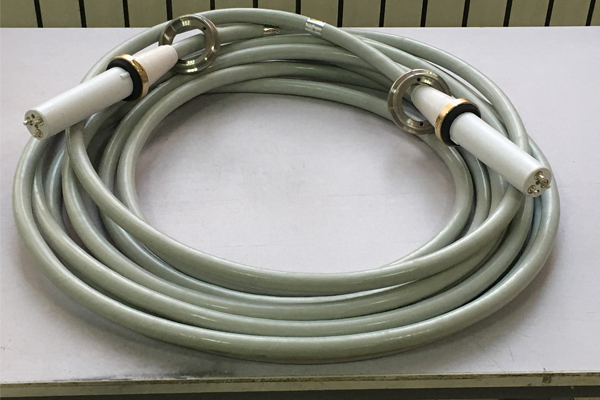 The length of 75kvdc high voltage cable for X-ray machine is not standard configuration, each customer’s situation is different, so 75kvdc high voltage cable length can be chosen between 2-16 meters. Newheek is a professional high-voltage cable manufacturer, 75kvdc high voltage cable has elbow and straight two kinds of high voltage connector can choose.